An idea that could stimulate the growth of Small and Medium Enterprises (SMEs) and have an impact on the rural economy has won Stivalen Lepon the Best Innovative Idea Award at the recent INTI Students Academic Conference (ISAC) 2011 in Penang. The student of INTI College Sarawak’s Bachelor of Computer Science (Digital Systems Security major) programme backed up his idea – presented in a paper entitled ‘Conception of a New Roadmap Based on E-commerce to Grow the Rural Economy: Using Ulu Padawan as a Pilot Case’ – with a demonstration of an actual working prototype of an e-commerce portal. Stivalen Lepon (left) is congratulated by Dr. William Wong. “My proposal allows the rural community in Ulu Padawan to manage a state-of-the-art e-commerce portal without the usual technical support skills and huge investment. If implemented, it will have a definite impact on the rural economy and facilitate the growth of SMEs,” said Stivalen, who also won the Presenter’s Silver Award, a testimony to his passion to share his thoughts and ideas with the audience. This is not the first time that the INTI Student Body (INTIMA) has organized such an event. The aims of the conference are to challenge youth to ‘Dream Out Loud’ and present their ideas and thoughts in a conference setting. The student-based conference initiative, started in 2008, is the brainchild of Dr. William Wong, who is currently the Chief Executive/Principal of INTI College Sarawak. According to Dr. Wong, “the main aim of the conference is to cultivate research and innovation mindsets among students to enhance their social and employability skills towards becoming highly employable graduates and future leaders”. This year’s conference was officially launched by the Deputy Chief Minister of Penang, Professor P. Ramasamy. Participants of the conference included students from INTI International College Penang, INTI College Sabah, INTI College Sarawak and about 600 secondary school students from Penang. Besides Stivalen, INTI College Sarawak also sent five other students – Nur Nabila Nozrani, Liew Hui Yin, Erika, Lim Woan Shan and Siti Ranimah Ratna Binti Abdul Nasser. A total of 10 papers were presented during the conference. These papers cover issues on green technology, tourism impact and competency achievement of business graduates to the nation’s economy, smart cars and surveillance systems, embedded ink-mark encryption application and blind spot multi-source signal processing, role of humanities education to society development, and other areas. 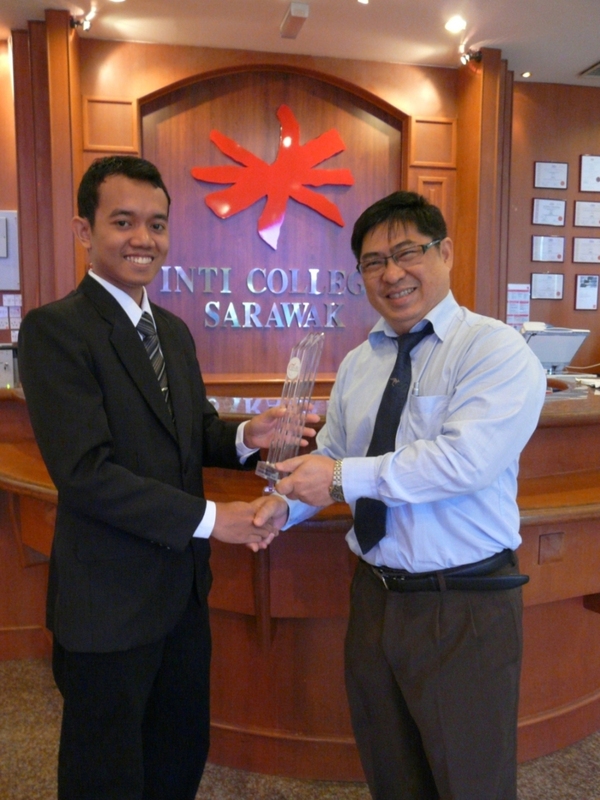 For INTI College Sarawak, this achievement is a continuation of its long standing tradition of excellence in holistic education. Indeed, education is not all about exams and classrooms, but includes humankind’s determination to fly the flag of creativity and innovation. For further information on INTI College Sarawak, please call 082-570888 or visit the campus at Jalan Stampin Timur in Kuching.